There are several exterior modifications that are precisely made to improve the aerodynamic performance. These unique body enhancements and modifications can be carbon fiber body mechanism, High Density Discharge, Alloy wheels, body kits, Xenon lights and a whole lot more. The tradition of exterior tuning can be traced back in the 70s which started from the chrome mirrors to the alloy wheels, and to the diffusers and splitters nowadays. You are about to discover the most exceptional supercars with excellent modifications and upgrades that the world has to offer today. Explore the top car brands that are exclusively designed with unique exterior tuning/moding, and several sophisticated car specifications powered by some of the reputable tuning companies globally. The HKS Zero-R is a high-performance luxury car that has a fancy exterior tuning such as modified exterior windows, a silver coat with personalized tints, a fully defined bumpers, stylish hood designs, and other high-end exterior features. It also comes with modified parts along with the exterior enhancements. The Nissan 350Z comes with a sleek and complex tuning body kit which includes aluminum radiator with fittings, lads aluminum intercooler, radiator hoses, engine-GReddy, the engine control unit E-Manage Ultimate, and has a feature of 450hp on wheels. On the other hand, the Nissan 350z four muffler has a golden wheels called Volk racing GT-F, a gearbox OS Giken LSD transmission, a suspension kit called the GReddy Type-S, and the R57-GT Gram Lights for the wheels and tires. The tuning Nissan 350z body paint has a GReddy Over-Fender SPL exterior body kit that are integrated on the side skirts, front and rear bumper, the roof spoiler, and expander arches as well. It also comes with OEM Pike or Peak White paint. Another great exterior tuning is specifically made for the Citroen ds3 that has a 1.56-liter turbo diesel, an electronic and direct fuel injection, a Valvetronic engine, a gasoline and diesel quartet, a turbocharger air cooling system, and an adjustable turbine guide of different supercharger. The Citroen Saxo is another tuning car model that comes in several colors, advanced arches for the wheels , and some changes on the headlight, hood where it is now aligned with the grille. It uses special equipment called the Saxo VTS that has a complete set of valve engine. Certainly, there are a lot of exterior tuning/moding that are integrated with the new car models today including the car grilles, caliper paint, mud flaps, rear spoilers and among others. Every week, publishers of car and automobile news take time to create news features about one of the most popular and most reliable car tuning companies, the Mansory. In fact, it has been reported previously that the Mansory Bugatti EB110 has taken its toll to celebrate with the company’s one hundredth year anniversary. Mansory Company is now a hundred years old and this is a strong indication and proof that when it comes to car tuning companies, Mansory is undeniably one of the best! Mansory has just celebrated its 100th anniversary and the event was filled with supercars in Geneva where the event took place. In account to this event, the German tuners have made it possible to pull back the covers of their very own rendition of Mansory’s Bugatti Veyron after the release of the preliminary photos, which were posted online sometime in December. Mansory’s Veyron is also dubbed as Linea Vincero and now, it comes with revised and enhanced front fascia, side skirts, shorter hood, spacious air outlets, forged wheels that are brand new, LED running lights, which are active during daytime. These enhancements are all wrapped with aluminum exterior that is well-polished and carbon fiber. Underneath the Mansory’s Veyron is the exhaust and injection system for newer and cooler air; these two work together in pumping up the Mansory Veyron’s already great and powerful 1,001 bhp to a staggering 1,109 bhp. As you go inside and explore the enhancements, you will be delighted to see accented carbon fibers and grained leather trims which cover the seats for perfect and comfortable sitting experience for the passengers; all of these bath in the soft and admirable glow of the LEDs which come perfectly fitted over the seats, door linings, and dashboard. These are all parts of Mansory Linea Vincero’s Ambiente Illumination Systems. These cars are offered all over the world by Mansory in partnership with Prestigious Cars Abu Dhabi so everyone will expects that these cars will not only be seen in large and wealthy countries but also in many Asian countries as well. However, it is highly advised that one should be aware that these vehicles would be sold on a limited manner. 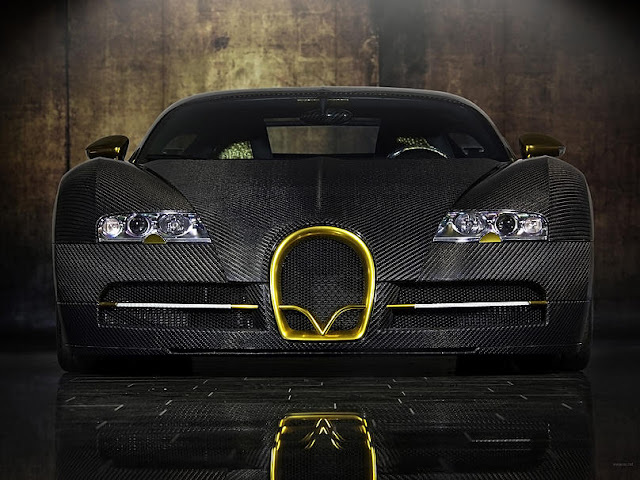 The limited edition of the Mansory Bugatti Linea Veyron Vincero is said to produce only three for its upcoming production. Everybody is going to be excited for these rare cars, indeed; who would simply bring home these limited cars? It could be you! The latest car news and updates are finally here. Earlier this month, the British sports car known as Mansory Aston Martin DBS was introduced by Dartz FR and MS Motors. It has a red Satine coat with complete Mansory body kit package that are integrated with this new sports car. The striking matt finish red vinyl coat is the main highlight of this latest model. It also has an enhanced sound system plus the famous Mansory wheels courtesy of the makers of the world’s famous car tuning company. Meanwhile, the new Mercedes-Benz L4P SLR777 SLR model set a new world record time with a 9.76 at 226km/h. The complete body kit is powered by Mansory Renavatio. Today, the L4P SLR777 is considered to be the world’s fastest SLR setting a new world record. This year, a new body kit courtesy of Mansory was incorporated with Porsche Panamera. The body kit package was called the Mansory Panamera C One with a carbon fiber bonnet, one-piece wheels, a wheel arch setup, and also with new side skirts and rear spoiler. One of the latest projects that were introduced in Japan is the Office-K Mansory SLR Renovatio that has a lot of car tuning integration including LED running light conversions, Mansory wheels, as well as other tuning solutions provided by Brabus, Wald International, LB Performance, and G-Power. Another great project earlier this month was the Mansory Porsche Cayenne Broad Version that is fully equipped with the so-called aerodynamics components that are well designed specifically for SUVs. Meanwhile, Samuel Eto’o became the first driver to take on the Stallone edition on Mansory Ferrari 599. It runs on 720 horses, with an extra 100bhp. In other car news, the world’s leading tuning company known as BRABUS introduced the Mercedes SLS AMG Roadster that has a high-performance aerodynamics body kit including forged wheels, exhaust system, sport suspension, engine tuning and fully-customized interior. BRABUS also launch a tuning program for a new model called the Mercedes W 166-series M-class. There are a lot of new car tuning releases this year including the 2012 Chevy Camaro ZL1 that has a prevailing 580 horsepower engine, the Audi RS3 Sportec tuning program, the G-Power BMW M5 Hurricane RR, the Audi R8 V10, which is considered to be the world’s fastest limousine. In addition, the Lamborghini Aventador powered by DMC, the Porsche Cayenne Akrapovic tuning plans, the Matte Blue BMW M3 powered Vorsteiner, the Audi B7 RS4 Coupe which is also called as the Road Warrior, and the most recent is the BMW’s F10 M5 that has a S63tu twin turbo engine powered by Eisenmann. Brabus Tuning Company, the most trusted exterior tuning company has announced the release of their latest tuning kit for Mercedes E220 CDI BlueEfficiency. They earlier announced that this kit is not to be confused with the previous highly functional electric drive E-class concept. They argue that this newest Brabus project is yet another highly performing Hybrid that targets the opposite directions. Those familiar with Brabus E-class concept that utilizes high peak torque of 3,200 Nm, Brabus Rocket 800 which produces a peak torque of a mere 1,42 Nm would agree that Brabus newest kit would deal mostly on vehicle concept for alternative automobiles. Beginning with Mercedes E220 CDI BlueEfficeincy, the tuner kit modified the Eco tuning module to give a fresh 30 PS to the diesel power plant of 2.2 liter capacity. The power output has 450 Nm torque and 200 PS. With these features, the tuning kit is said to be more eco-friendly and adapting to the E-car concept of ecology-friendly engines. With dual electric motors that produce 50 kw when geared in the Eco mode and when switched to Sport mode produce only 80 kw permitting to have a grand power output of 160 kw or 220 PS/216 hp and astounding 1,600Nm or 1,180 lb-ft of torque which is made available for Mercedes E220 respectively. Brabus tuning kit has 18.6-Kwh lithium-ion battery pack which is tucked underneath the Mercedes. This powerful battery pack will allow the Brabus tuned Mercedes E220 to run on a range of 120 kilometers or approximately 75 miles. When in shifted to sport mode, the electric car can speed up to 80 kilometers or 50 miles which is a primary feature on electric power. On the record, Mercedes E-class can fully accelerate from zero up to a hundred kilometers per hour in quick 7.4 seconds. Brabus Company also revealed their latest project which is a modified Mercedes SLK. They are pleased to announce that they have modified a lot of things on this awesome car starting from the car’s aerodynamics, body kits, rims and suspension and made serious enhancements on its engines. Brabus also clarifies that this Mercedes E220 is not for sale but the company has bright hope that their current partnership with Mercedes E220 will produce more future working partnerships. They are also hoping to see more concept car productions from Mercedes and of course, more pioneering partnership with Brabus and to witness another hybrid projects for exterior tuning. The majestic Skyline connoisseur runs over other models for years that made its legacy as one of the legendary cars. The tuning power and the solid interface can’t be matched by Nismo 400R nor a Z-Tune. During the late nineties, the HKS made a decision to develop what the RUF in the German Country is doing with their Porsches. It begun by creating version that has a high-performance originated from BNR32 that brought out the Zero-R. The whole idea of the process was to inject and insert the tuning to better improve the face and performance of the car. Tuning the RB26 made GT-R evolve and gain the fullest potential. The whole idea was considered great in theoretical side, but when to practice, it really didn’t work. The designing of four Zero Rs started the time where the models are not considered as part of the brand of Nissan in which problems began. Because of several regulations in the past, they are required for a crash-test few cars for a homologation approval. HKS decided in abandoning the said project that proven to be expensive with the proposed budget of one hundred forty five thousand dollars per car. The HKS kept about three Zero-Rs and sold the fourth one to Brunei. The Sultan of Brunei then shipped the car to the far eastern to add it in his vast collection of cars. The HKS Zero-R had an exterior tuning by adding a touch of silver to add in to the luxury. Nowadays, the model was modified with series of exterior windows with personalize tints to add a spice to the whole performance of the car. This silver tinted car was termed to be the first vehicle that was completed. After several shipments of the said car, the exterior wasn’t changed to maintain the original perspective of the car. Along with the exterior modification, unique parts were added to enhance the car performance. HKS Zero-R made its way in competing with different Tuning show with added modification of fully defined bumpers. Several shades were added in the hood to make the car stylish and blazing with styles. Owners of HKS Zero-R are constantly adding exterior features and other parts for this model in competing in the “Athens Tuning Show” where several models of car collection from different car owners are presented. Owning a car like HKS Zero-R will rule the show of style and will be a pride to owners in showing off the true potential of HKS Zero-R.
As the aftermarket industry has grown in the past couple of years it has become very complicated for most of car owners to make their rides stand out from the rest. 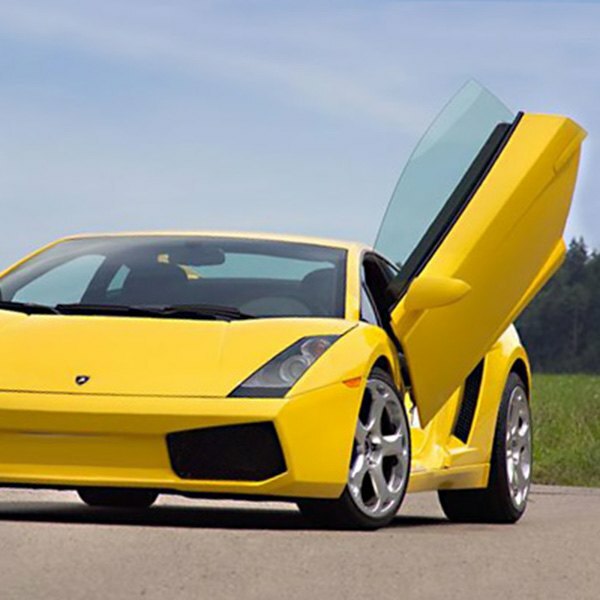 But due to the help of advanced designing solutions and greater resource outreach, lambo doors from CARiD.com are now available for the average people, giving everybody an opportunity to customize their vehicles with this masterpiece of automotive engineering. Maybe you’ve pondered what it would be like to snap vertical doors onto your car but always figured it was just too pricy. Or maybe you were frightened by the thought of a difficult installation process. Times have changed, and with that, technical limitations have now been rendered extinct. Just about every type of make and model is now a candidate for this explosive makeover. Among the different types of cars on the road today, there is no doubt about the style and design of the Lamborghini being among the best. The Lamborghini cars are what most vehicle enthusiast dreams are woven around. The cars are a lavish and most of the time a once in a life time investment. Lamborghini doors which are vertical doors are unique and exotic accessories. The performance crazy enthusiasts all over the world are enthralled with the vehicle’s roadworthiness and the beauty of the vertical door design that makes the car stand apart in a crowd. The first thing you have to look into is making sure your model is a candidate. Chances are that it is. Lambo door kits are available for most makes and models nowadays as we’ve covered. However, this is not the type of purchase you want to leave in the hands of folks who boast a less-than-stellar reputation. Currently, there are more than a few companies who claim to manufacture vertical door kits, and most of them are coming to you courtesy of Asia. This is especially prevalent should you seek out a local restyling shop and inquire within, as some of these places are ordering “knockoff” kits for use during installation. Just be vigilant. Know your vehicle, and ask plenty of questions. Once you receive your Lambo doors kit, the next step is installation. With installation, you may have the ability and resources to do it yourself. However, even if you are supremely confident in your mechanical ability, you must be prepared. That means having the space, tools, and a fistful of good old-fashioned “know how”. As mentioned previously with the Direct Bolt-On installation features, it certainly is a manageable project, without question. But should you not be completely convinced that you can perform an accurate and safe install, then by all means DON’T. Simply take your kit to a shop that you trust and let them handle it. It is usually a very reasonably priced procedure, and they’ll probably get a kick out of having a set of Lambo doors to install! Any esteemed dealer should be able to point you in the direction of a restyling shop that will welcome this procedure with professional enthusiasm. The demand for Lamborghini doors or vertical doors has increased a lot. There is a dedicated base of a number of online and offline resources that make the Lamborghini doors easily available to customers all around the world, taking care of the shipping costs too! The vertical Lamborghini doors swing to the designed and desired 90 degrees. The vertical door movement of the Lamborghini doors should be checked for optimum movement and quality, while investing in the same, especially online. You should verify the site and double check the authenticity of the products offered with previous customers of the Lamborghini door kit supplier. The vertical Lamborghini door kits are CAD/CAM designed and can be fitted on to any type of car.